Our first monsoon casualty! A branch had fallen on the Dzire & caused considerable damage. The rear windscreen was shattered, the boot lid dented & the roof had suffered some damage too. We got in touch with Maruti’s workshop, who informed us of the unavailability of the rear windscreen glass. The wait, coupled with the process of getting it fixed, took 15 days, & the hefty bill of Rs 21,161 came as a bit of a shock. It’s interesting to note that the rear windscreen cost us just Rs 1809, while the denting, painting & labour comprised the rest of the bill. As soon as the car came back, I took it to Nashik for one of my now rather infrequent trips home. Thanks to the late hour, driving out of Mumbai was hassle free, & it did not take me long to appreciate the finer points of the Dzire. 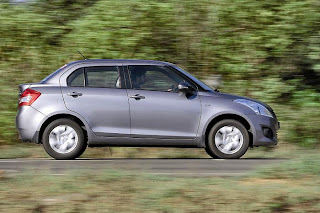 The 1.3 Multijet unit is smooth & complements the overall character of the Dzire quite well. While it felt a bit hesitant at lower rpms, I had no reason to complain once past 1900rpm, when the turbo kicked in. 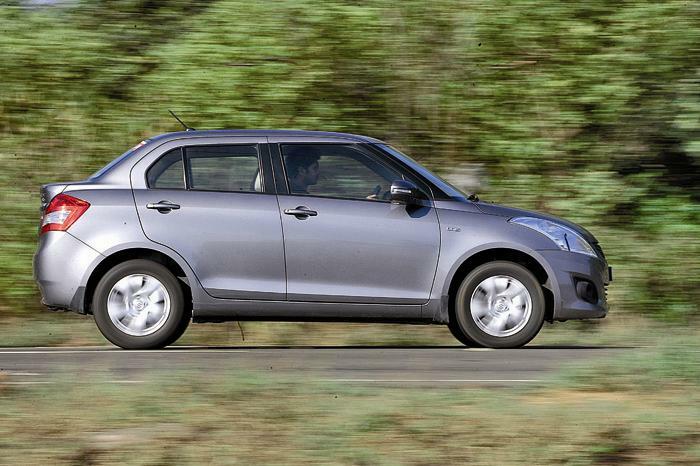 Hereon the Dzire displayed a strong pull, with a very instantaneous response to the throttle inputs. Out on the highway, it felt right at home. The suspension set up seemed to have struck the right balance between softness & stiffness. The steering, though light at city speeds, provided decent feedback at highway speeds. It was pouring cats & dogs all through my drive, but the Dzire gave me no reason for worry. The grippy 185 section tyres worked nicely on the wet surface, inspiring confidence. The wipers did a good job of keeping the windscreen clear while the rear windscreen defogger worked overtime. The headlights were decently bright & the fog lamps helped in lighting the sides pretty effectively. 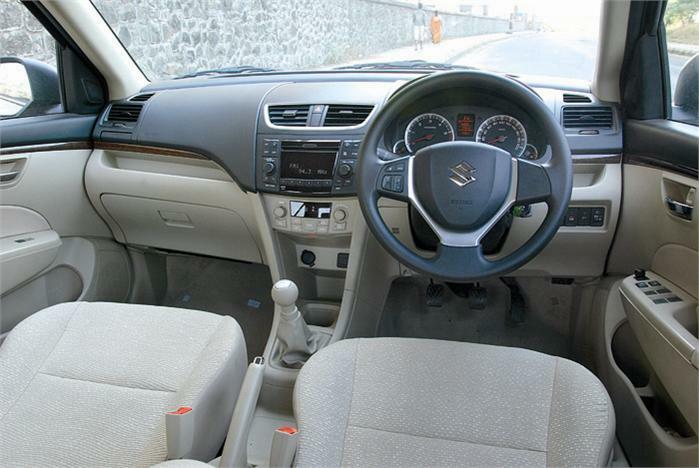 I found the driver’s seat a very comfortable & supportive place to be, & the two tone interiors worked well for the cabin. However, the beige floor mats seemed to highlight every little speck of dirt. 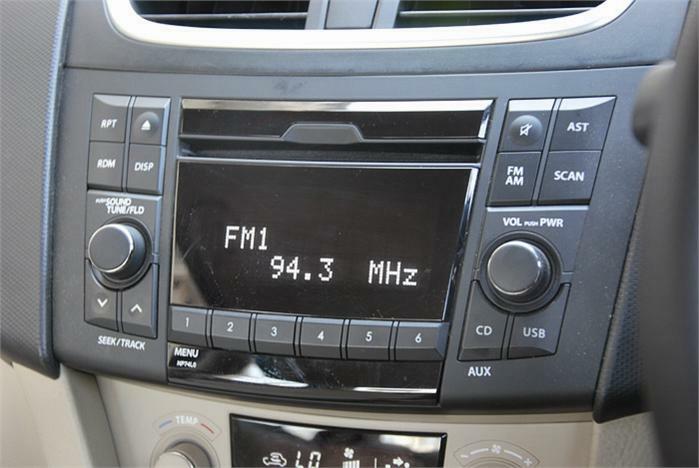 Our Dzire is the ZDi variant, which comes with a factory fitted music system that supports MP3 & has Aux in & USB connectivity. 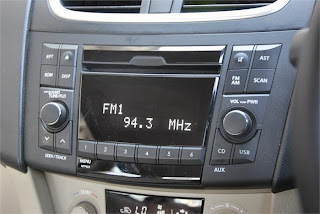 However, I like being spoilt for choice when on a long drive & could have done with Bluetooth connectivity too. But I ought not to complain. 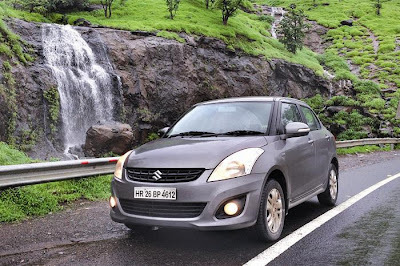 With the highway being empty, the Dzire gobbled up the kilometres to Nashik happily without burning a big hole in my wallet, despite some spirited driving. All this & the drive back to Mumbai was done in less than half a tank of diesel!